During their two-day visit at Camp JRF, the supervisors from Crane Lake Camp were impressed with the level of Judaism incorporated into every part of the day. The visit included tours, program observations, and plentiful conversations with campers and staff. 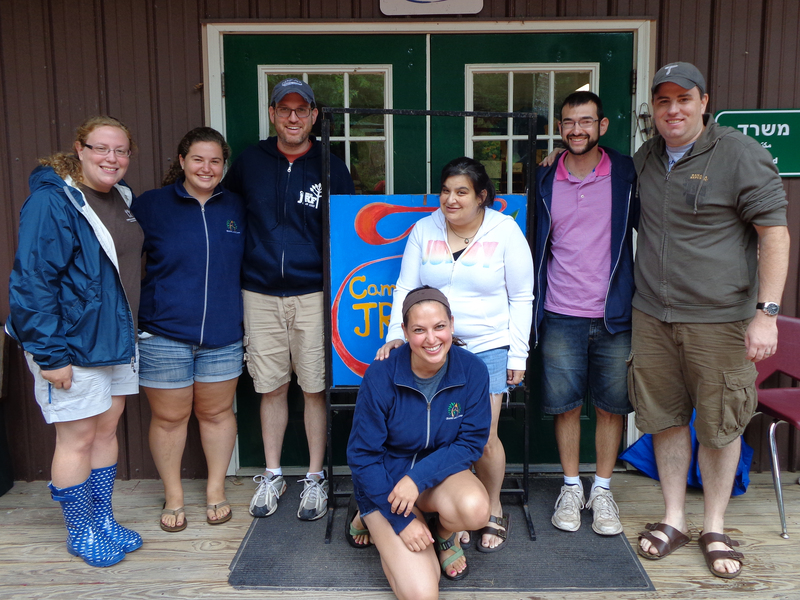 Ultimately, the Crane Lake supervisors left JRF with creative ideas for Jewish programming (and other parts of camp), and they're exciting to host their own visitors, from Berkshire Hills Emanuel Camp, next Friday. Twice daily, the entire JRF community participates in services, but they only occasionally look like the services that you might find in a synagogue. 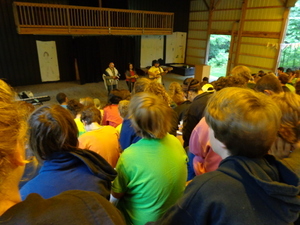 Frequently musical or arts-based, the JRF staff and visiting faculty work creatively to find non-standard ways for campers to connect with Judaism, and our hosts mentioned several types of activity-centered services from the past few weeks. 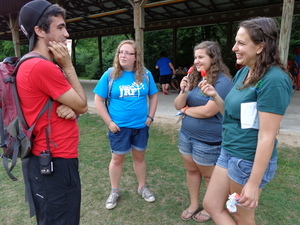 When the Crane Lake supervisors interviewed campers and staff members about their favorite parts of camp, Jewish values camp up frequently. 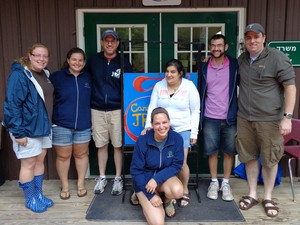 JRF bases its program on seven core Jewish values, which are then incorporated into all parts of camp life. In fact, they even wrote a catchy song (with seven entire verses) to remember all of the values, which the campers have sung at meals. This focus on values allows all of camp to align the intentionality of the various programs and activities. 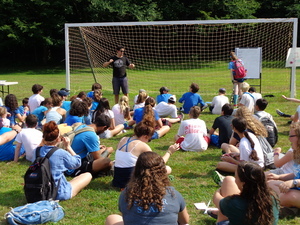 On the first day of Crane Lake's visit, the JRF campers were deeply involved in an Israel-themed maccabiah competition. The night before, they'd begun learning about five of Israel's most prestigious universities, and the next morning they "took classes" at the various universities by competing in medical, technological, artistic, and legal-based challenges. Later, they made decorations for their chosen university, and took a series of college exams (above) before finally graduating at the end of the evening. Most of JRF's program areas are open on at least two sides, proving a nature-based experience for campers even in more education-based programs. 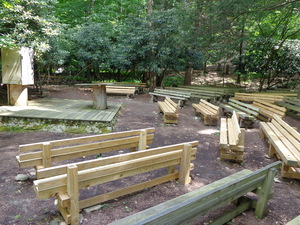 Their Shabbat service location (above) is particularly beautiful, surrounded by forest and overlooking the camp lake. JRF also has a few trails, used for day hikes and overnight camping, and it is currently building a new 72-bed "eco-village" unit. As the visit ended today, the Crane Lake visitors were excited to bring back the new ideas that they'd found, and they left the JRF staff members discussing the newly-gained perspective on their program. Stay tuned to read all the details of next week's visit to Crane Lake Camp!